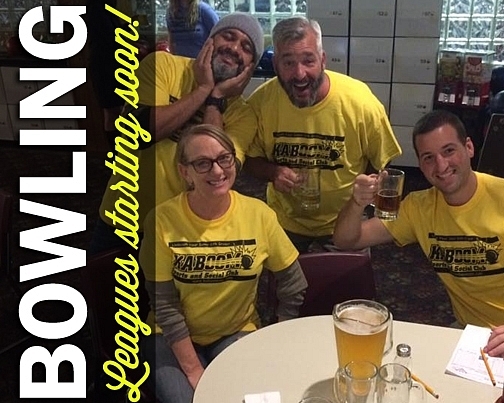 Kaboom Sports & Social is taking on the bowling world! If you are just a social bowler looking for a laid back league or a league bowler wanting to take it easy for a night, this is for you! This league will feature 7-week seasons (plus playoffs), a great format, and a fun, social atmosphere. Sign up your team or register as an individual and we'll hook you up with a team. Can't beat that! Filter by LOCATION, DAY OF WEEK, and SPORT so you can see exactly which leagues are the best fit for your schedule! New leagues and location are added all the time and league are played year round - usually 4-5 seasons a year. 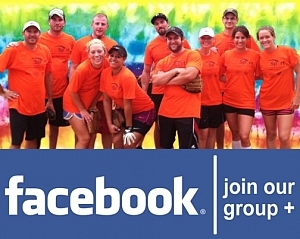 Our goal is to get your playing and to GET OUT, GET ACTIVE, & MEET NEW PEOPLE! If you have any questions about Kaboom leagues or how to sign up, call us at 877-749-8749 x1 or EMAIL US!